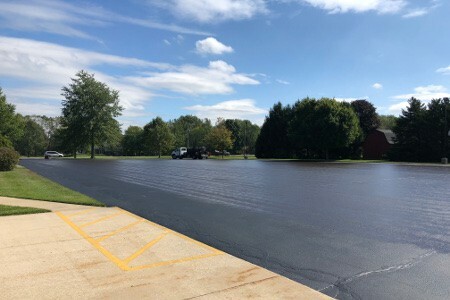 Pittman Asphalt Maintenance provides a complete line of defense against Michigan winters for your parking lot. If you want your pavement to last, you should have your asphalt sealed every couple of years. We are proud to work with businesses, churches, schools, and municipalities across all of West Michigan. 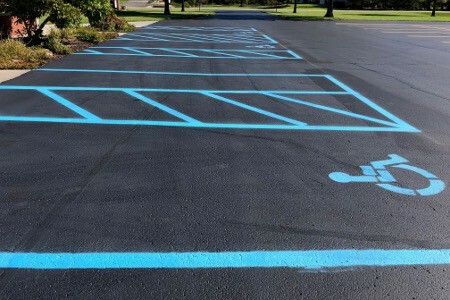 Our services include sealcoating, asphalt patching, rubberized crack filling and parking lot striping. Call us today at (616) 786-2923 for a Free Estimate on any parking lot service. Pittman Asphalt Maintenance does overlay patching, pot hole fills, milling, rubberized crack filling, and complete saw cut patches as required. Call us at (616) 786-2923. 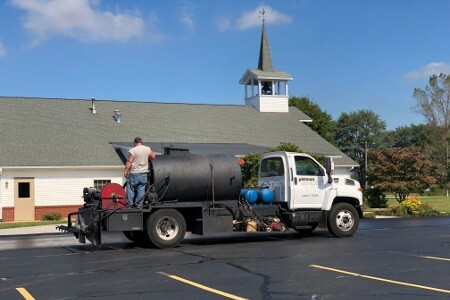 Pittman Asphalt Maintenance also can combine services for you and customize a maintenance program to spread the costs across the life of your investment. Michigan is the perfect climate for potholes. Water freezes under the surface in winter and then thaws in the spring leaving a hole under the surface. Vehicles then pass over the hole and the asphalt collapses. How often to do Sealcoating? Sealcoating is one of the best ways to extend the life of your asphalt. We recommend doing this every 2-3 years for commercial parking lots dependent on factors like traffic, snow removal, and UV sun rays. The short answer is 20 to 30 years. This assumes you fill crack, patch, and sealcoat on a regular basis. 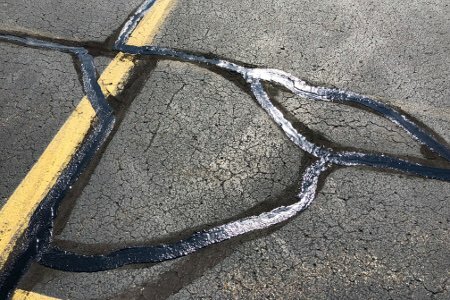 Can you apply a sealer on new asphalt? Asphalt needs to cure before a sealer can be applied. This curing will vary but generally 1 year is a good guide.